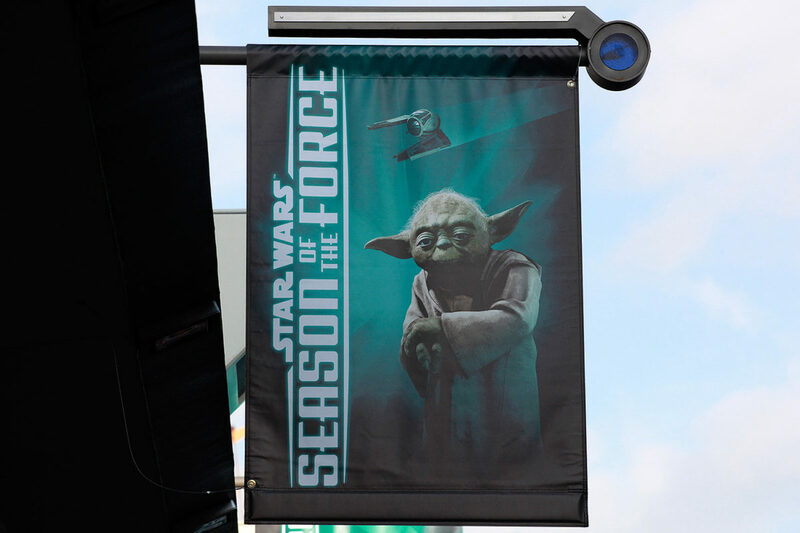 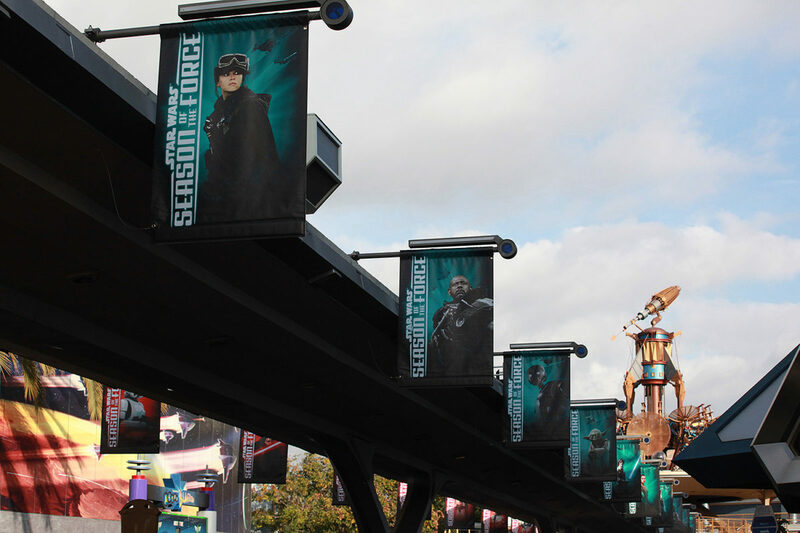 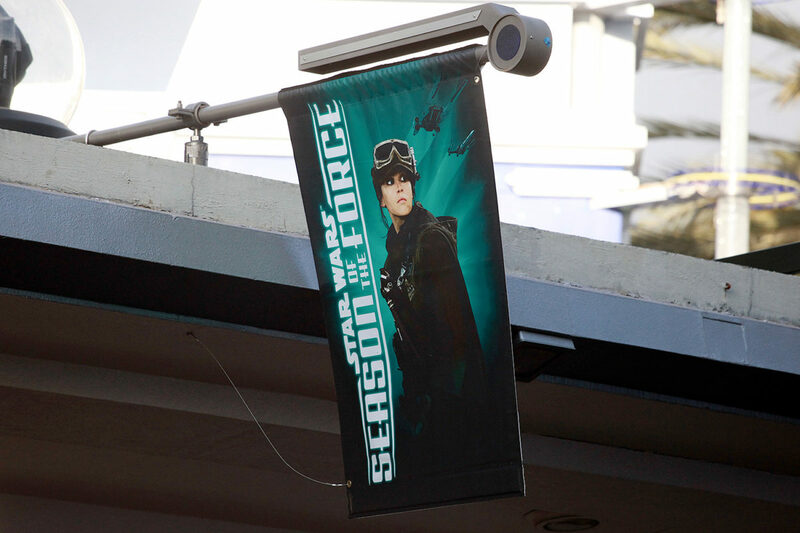 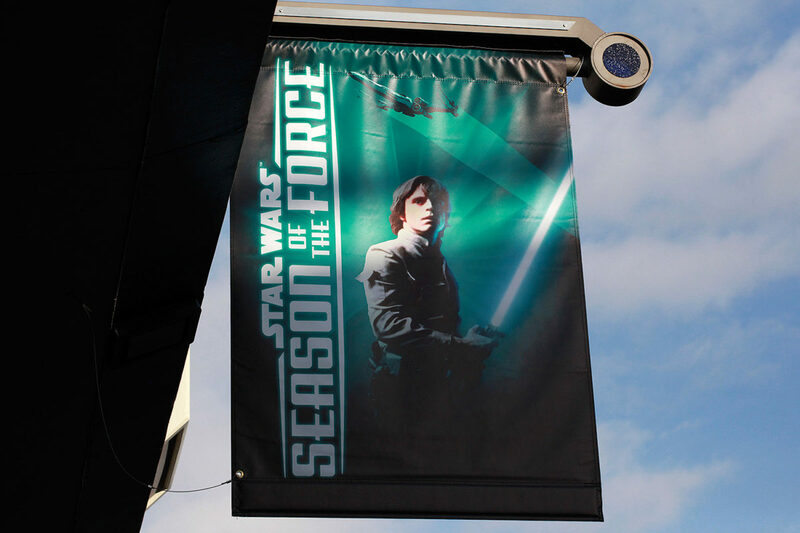 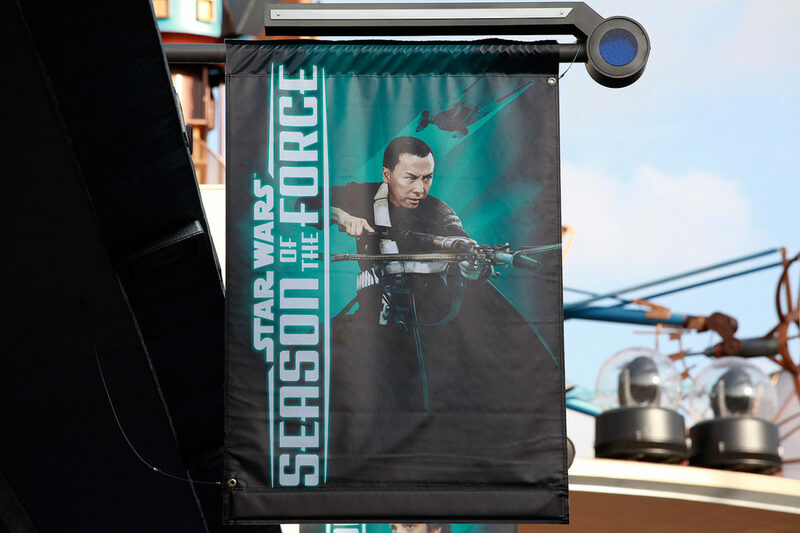 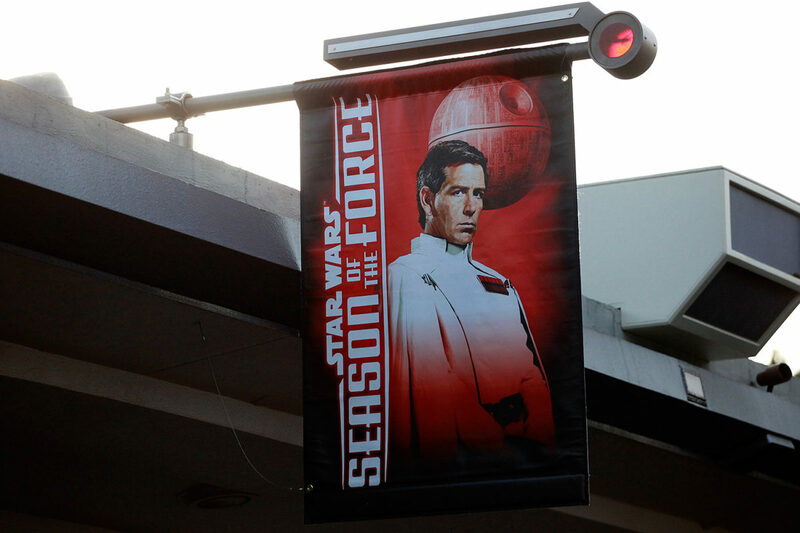 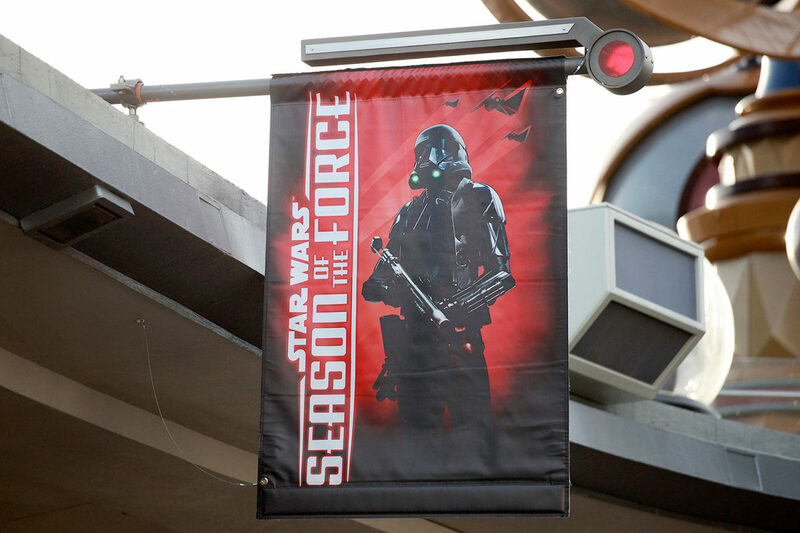 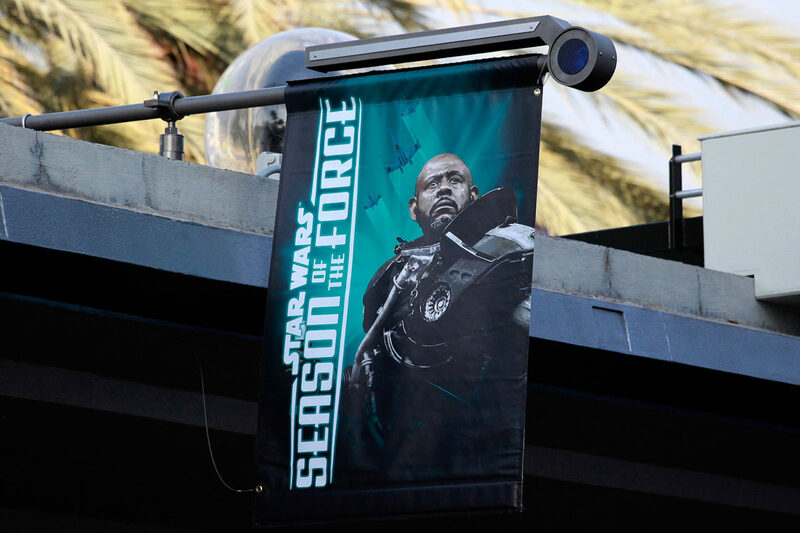 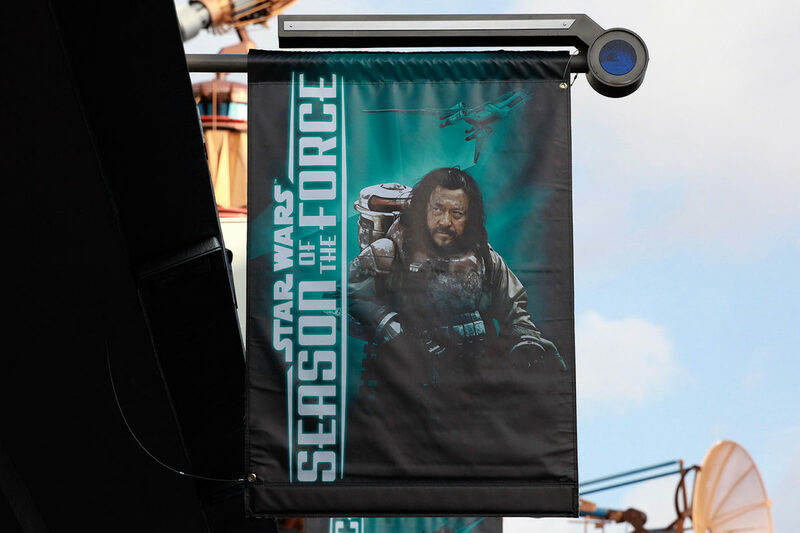 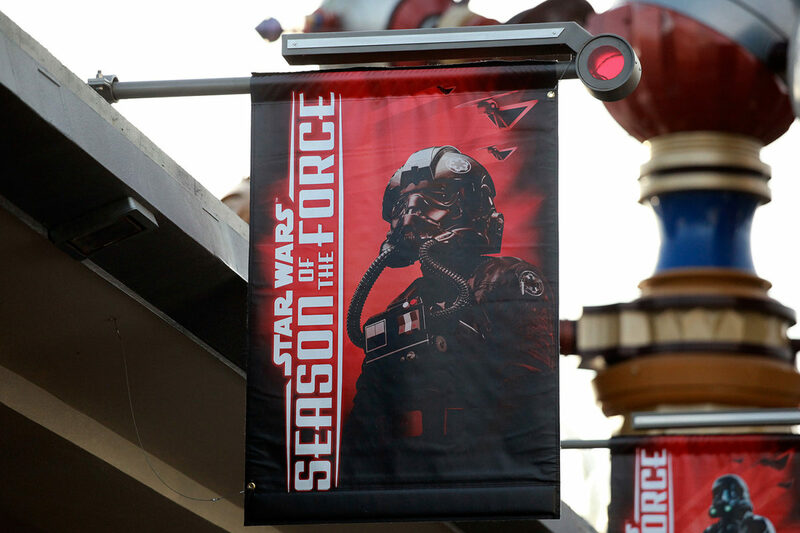 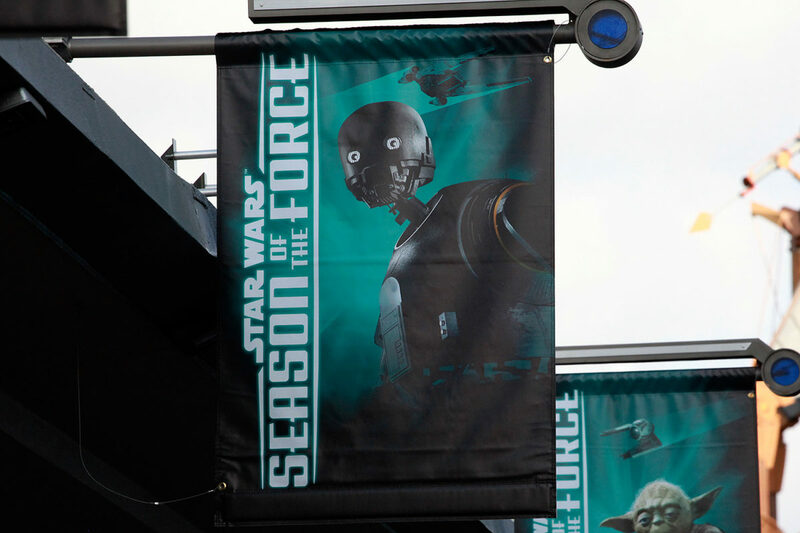 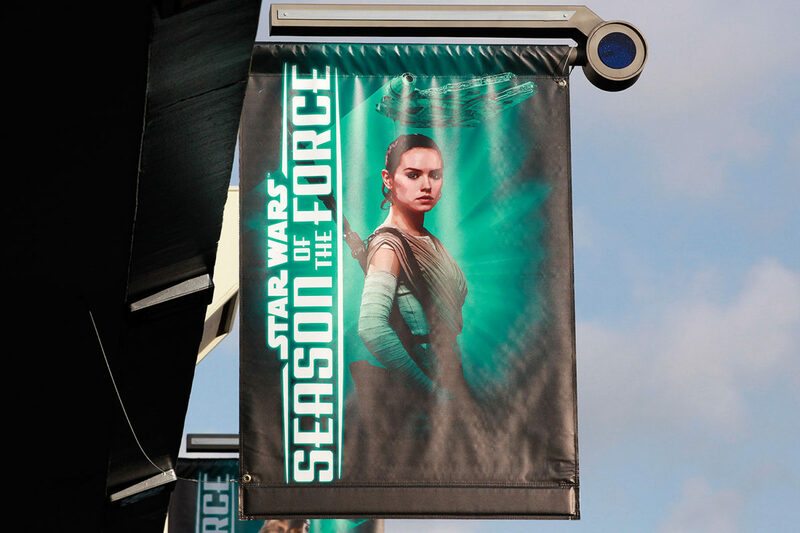 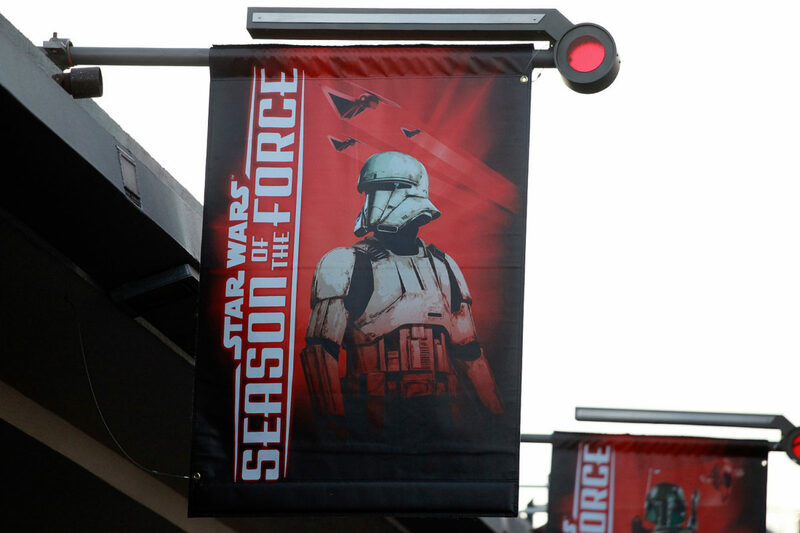 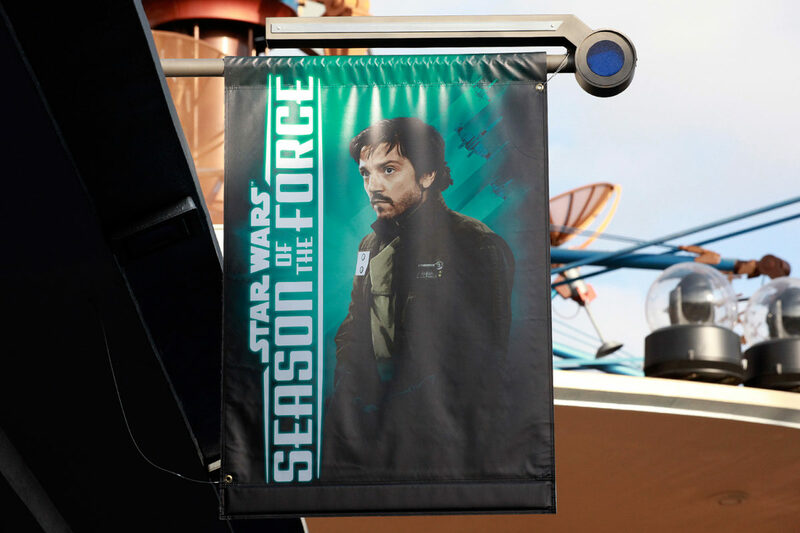 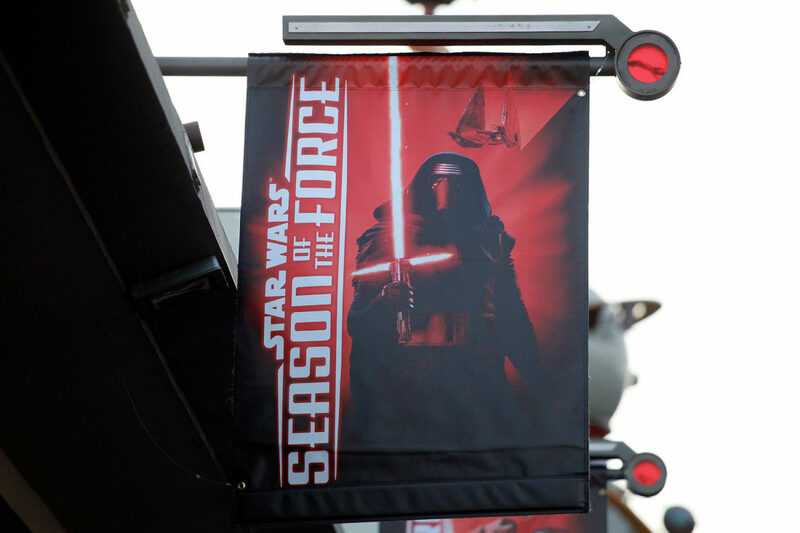 Season of the Force returned to Disneyland’s Tomorrowland for 2017 and with it came brand new flags featuring new characters from Rogue One along with a few of the classics. 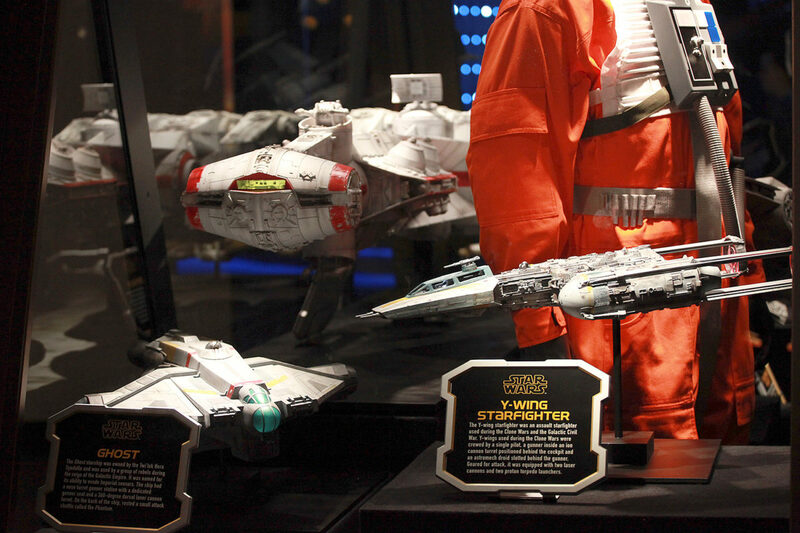 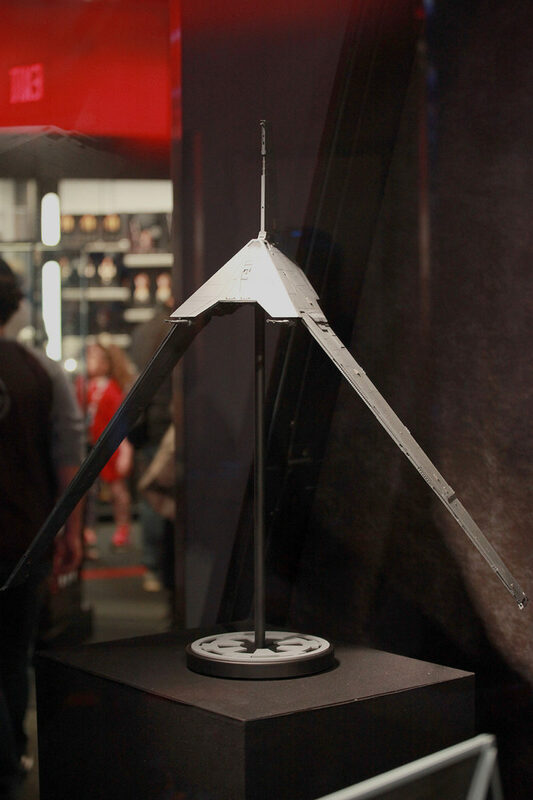 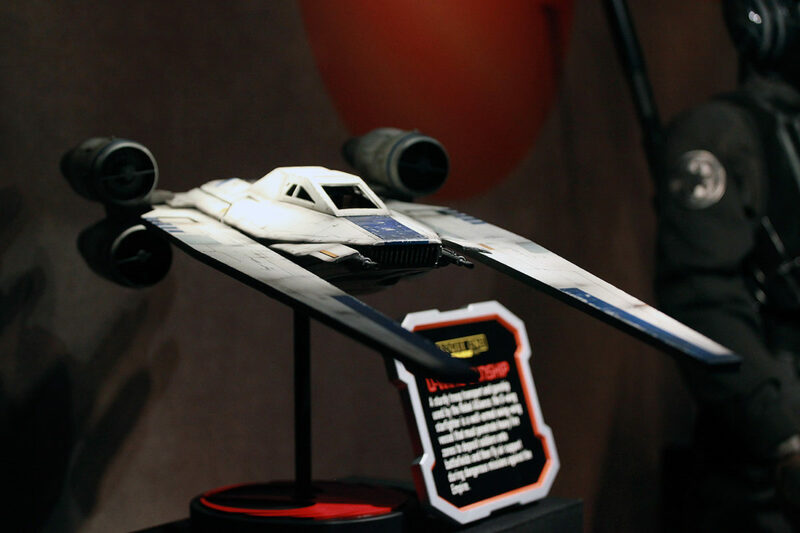 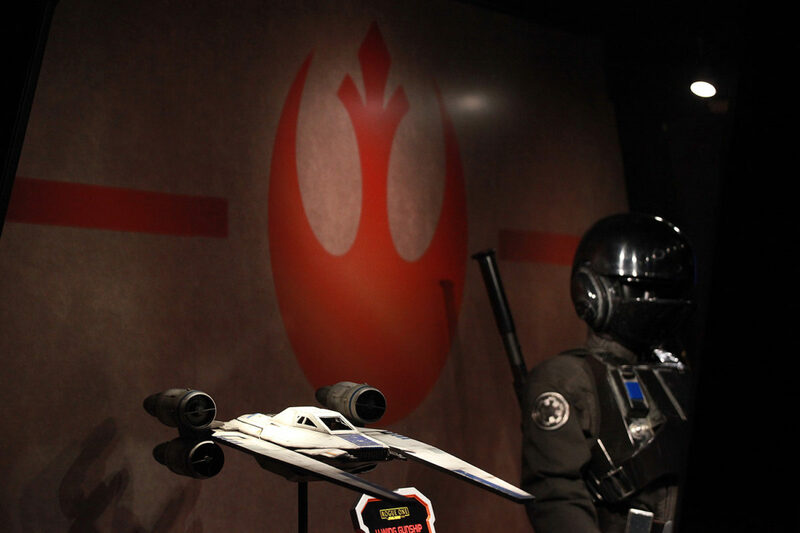 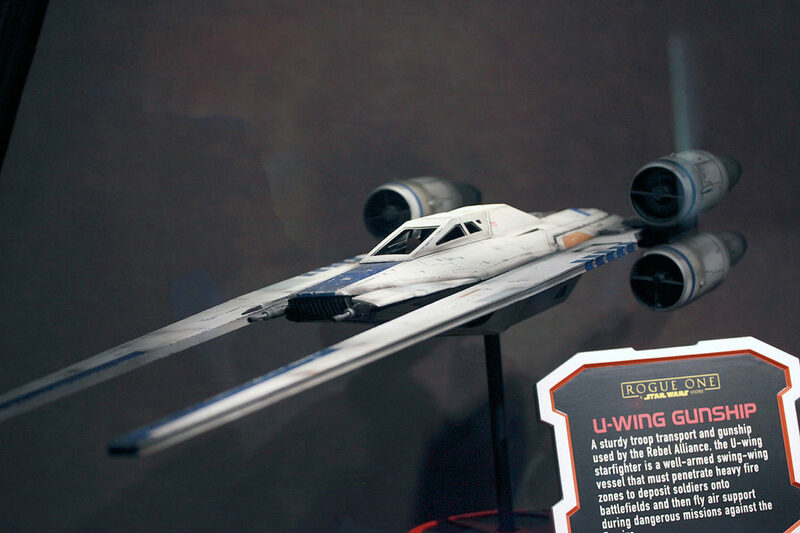 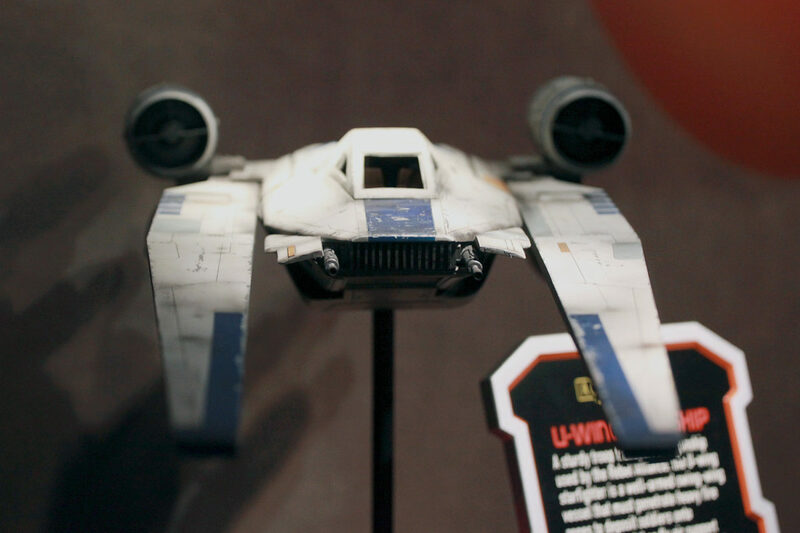 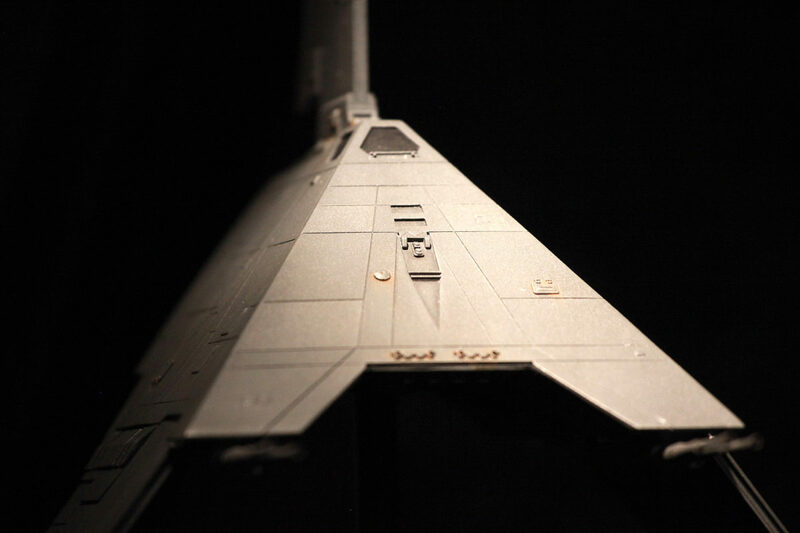 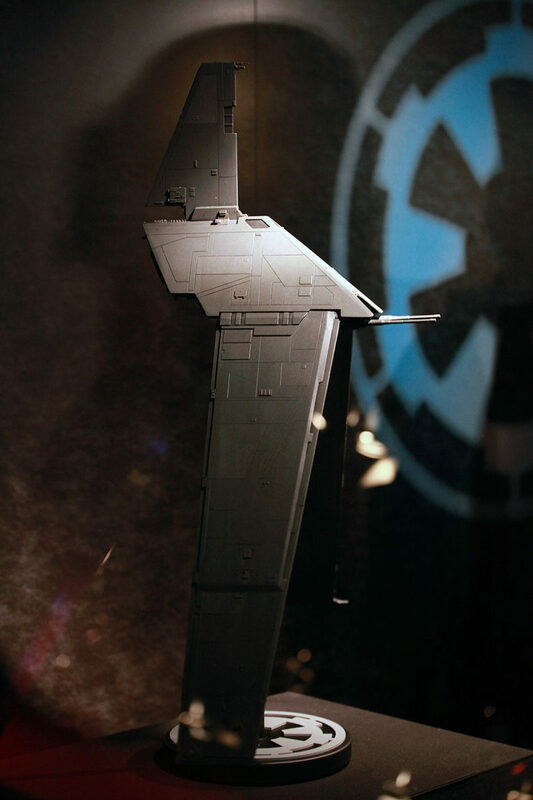 The Star Wars Launch Bay also updated its main display with the U-Wing and Krennic’s Imperial Shuttle. 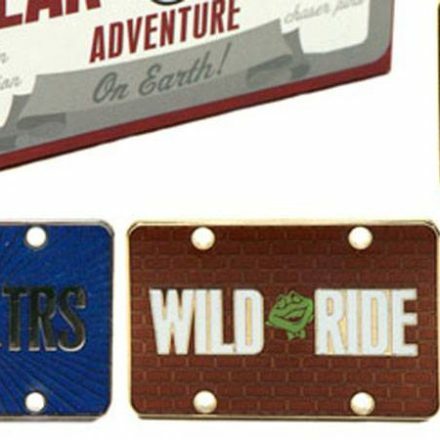 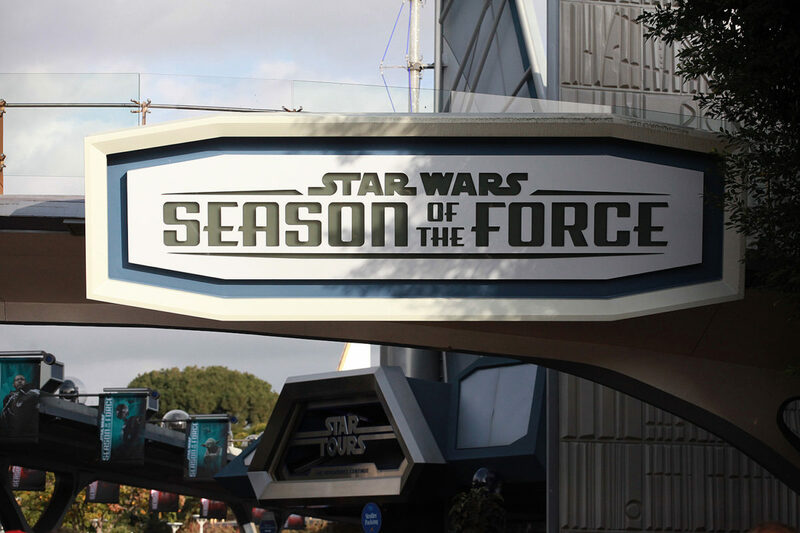 Not much else is new for Season of the Force so far as you can still enjoy the Jedi Training Academy, Hyperspace Mountain, and of course Star Tours. 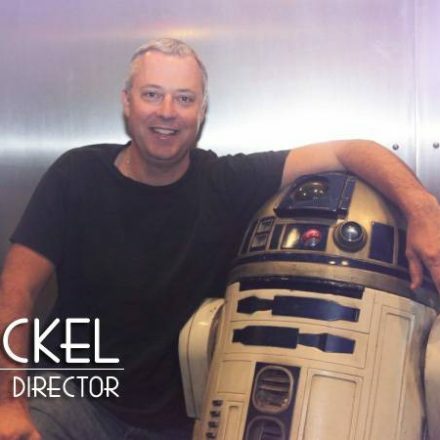 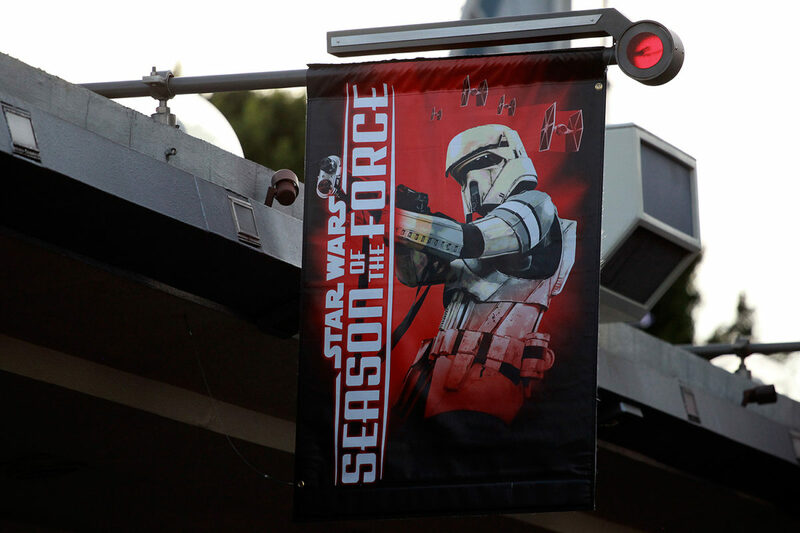 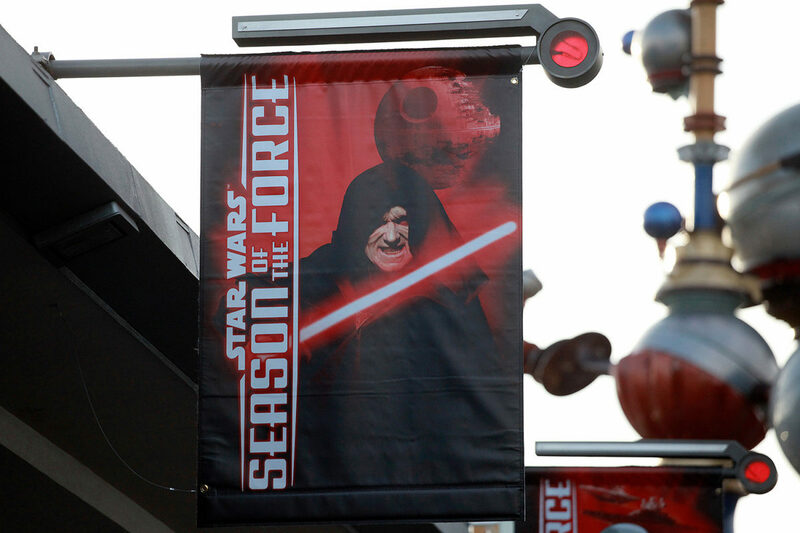 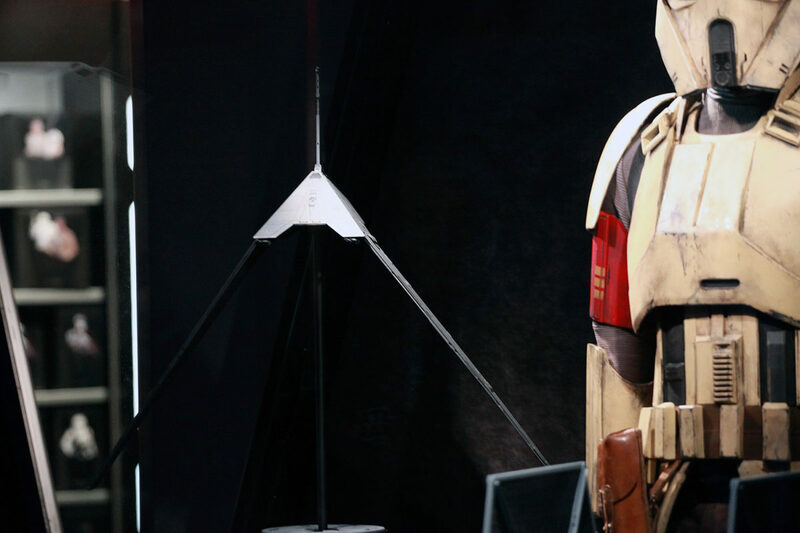 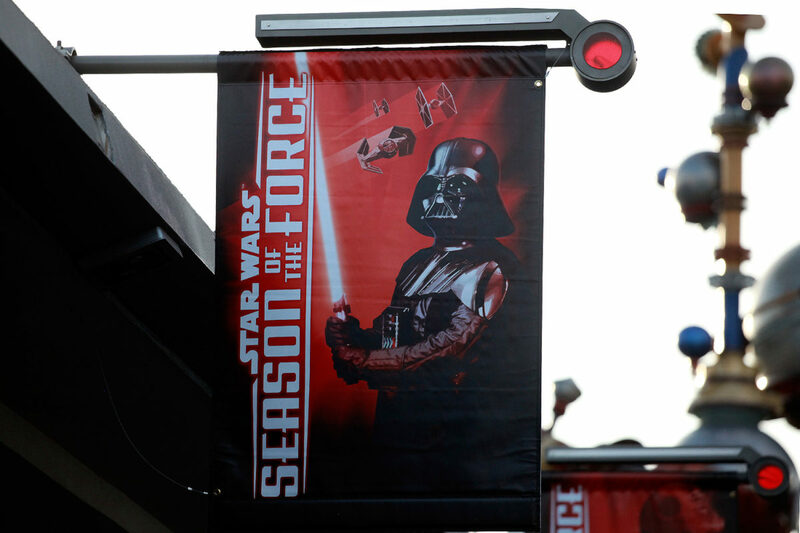 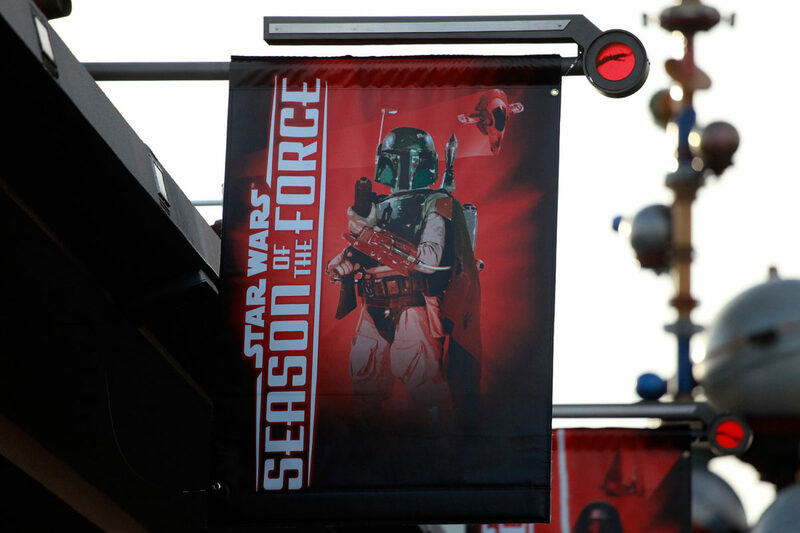 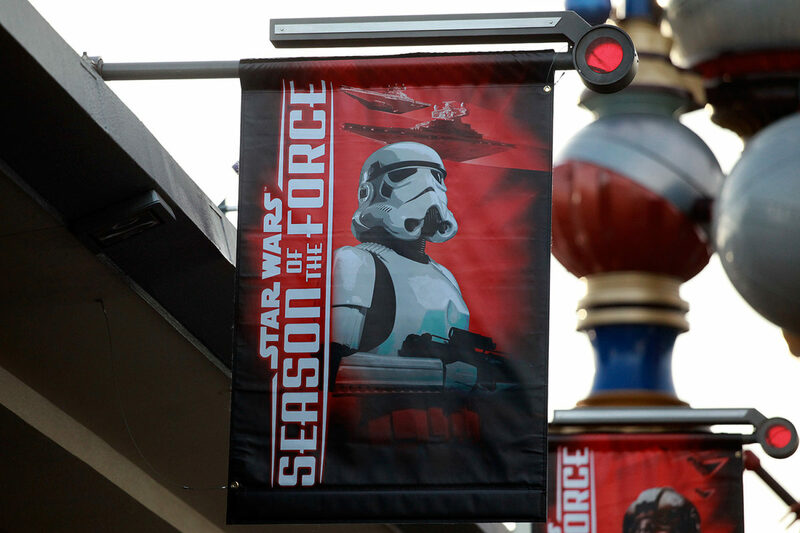 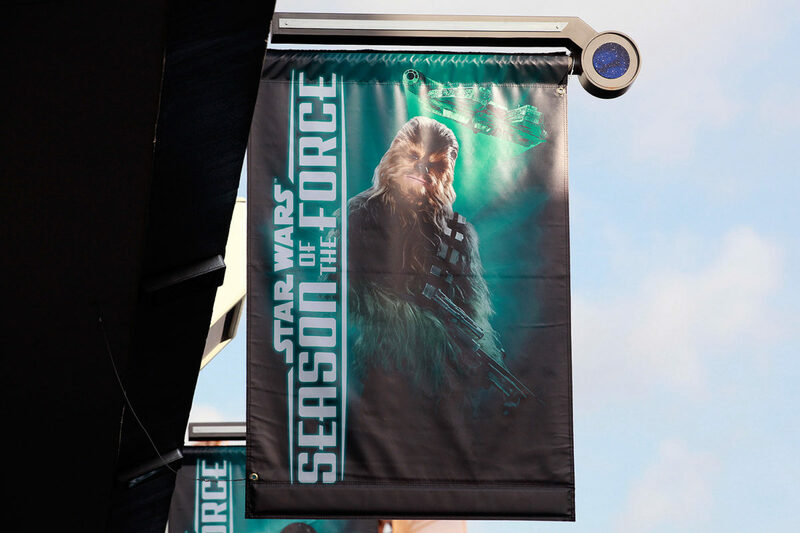 Scroll on through to see more photos of Disneyland’s Season of the Force!